August 24, 2015 August 26, 2015 / Kat D.
Oh, Pinterest! How full of ideas are you! My slow cooker hasn’t seen any action since my last batch of red beans and rice. 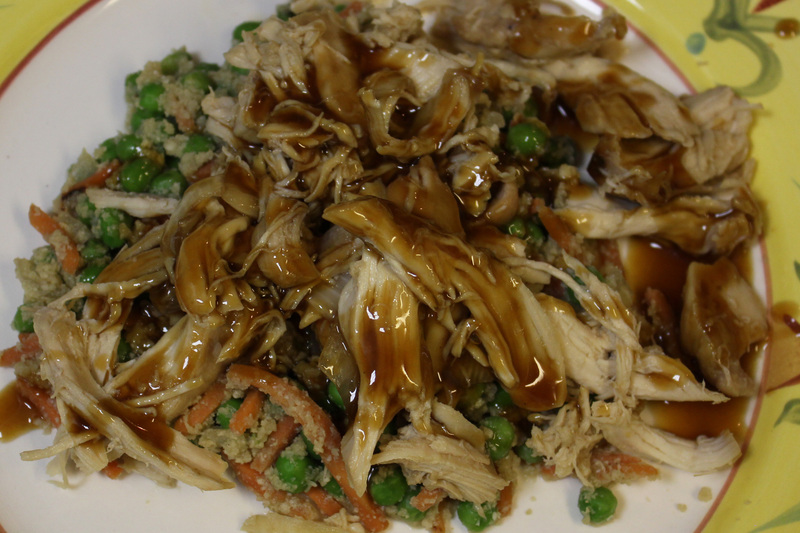 So, when I pinned this recipe, I was ready to whip it out and get it Asian-fied. 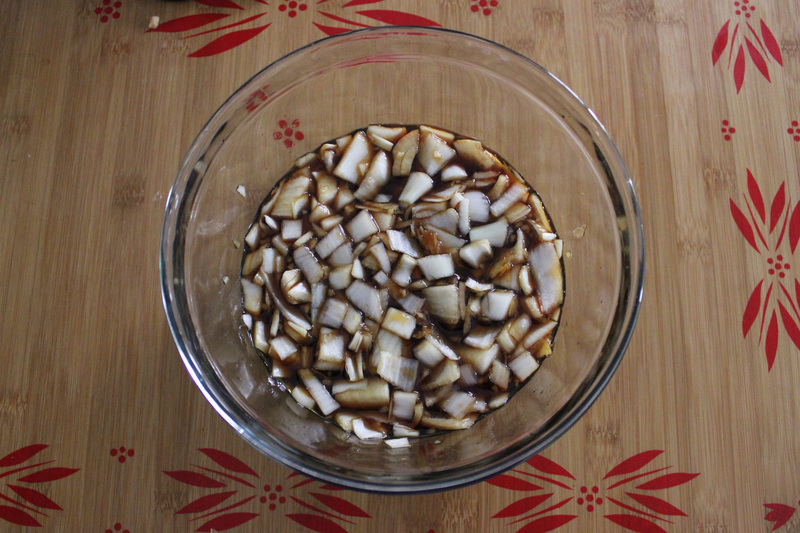 In a bowl, mix together the honey, red wine vinegar, soy sauce, garlic, onion, ground ginger, and pepper. Add the chicken and turn to coat both sides with sauce. Cook in a slow cooker on low for about 4-5 hours. 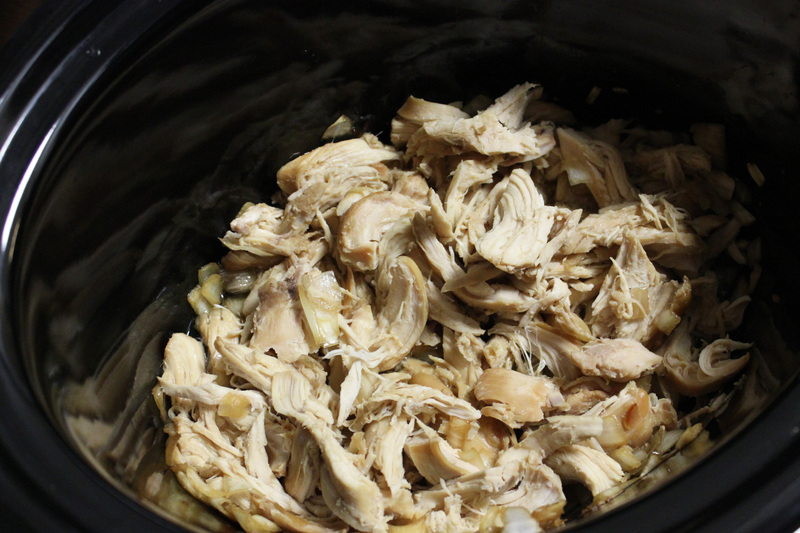 Remove from the slow cooker and shred the chicken with a fork. Then set aside. Pour the remaining sauce through a fine mesh strainer to strain out the onion and garlic chunks. 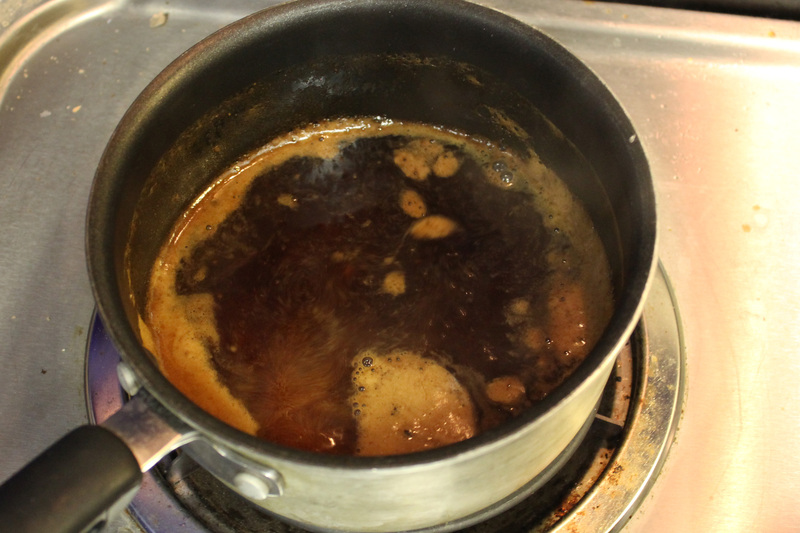 Transfer this remaining liquid into a medium sauce pan and heat on the stove to medium heat. Whisk together the cornstarch and cold water in a separate bowl. Once the sauce on the burner starts to boil, slowly pour the cornstarch mixture in, stirring constantly. Return to a boil and then reduce to low and simmer for about 4 minutes until thickened. Pour half the sauce over the chicken and mix together. If you serve with rice, drizzle more sauce on top. PRO 1: HOMEMADE TERIYAKI SAUCE FOR YOU TO KEEP! This sauce should keep for maybe a month. And I’ll go ahead and say it is delicious. What isn’t delicious? What the hell should I do with it after I rub my chicken all in it? Does it go in the crock-pot, fridge? And I have to waste my onions. CON 1: NO DIRECTION ON THE SAUCE IN BETWEEN COOKING THE CHICKEN AND THICKENING IT UP. CON 2: THERE NEEDS TO BE A PLACE FOR THESE ONIONS. So, guess what I did with some of them? After I rolled my chicken in the sauce a little, I took a handful or two and sprinkled them in to cook with the chicken. RECIPE SUGGESTION 1: USE THOSE ONIONS. At this point, I’m wondering how my chicken is really going to cook. Since there is no instruction on what to do with the sauce, I decide to put it in the fridge. I think perhaps if I put in the slow cooker, it’ll cook down too much. Since the chicken only has the sauce I coated it with, I wonder whether the chicken will burn! I imagine pulling out this stinking, black coat of a mess and trying to pour all of my sauce all over to cover up my misdeed to a beautiful piece of chicken. I decide to hold my breath for four hours to find out. But alas! There’s not charcoaled mess! I had forgotten the slow cooker is gentle and loving to its inmates. In fact, there is a beautiful, juicy mess at the bottom. My chickens are glistening with joy. With three and half hours to dwell on the audacity of wasting onions, I decide for the last 30 minutes of cooking to throw in the remaining onions. BOOM! ONION CRISIS 2015 SOLVED! RECIPE SUGGESTION 2: USE THOSE ONIONS SOME MORE. We all know by now how at Pinned Foodie we like to switch out ingredients for things we already have. This baby formula looking mix is my water and FLOUR, not cornstarch, mix. RECIPE SUGGESTION 3: USE WHAT YOU GOT TO THICKEN UP YOUR SAUCE. I think that just might be a given thus far. Now that my sauce is at a rolling boil, I need to slowly add in my thickener. AND whisk the crap out of this sauce. CON 3: YOU NEED TO HAVE A STRONG WHISKING HAND! You need to whisk while pouring it in, and you’ll need to whisk while it’s cooking for that last 4 minutes. You don’t want anything separating or it not thicken at all. SO WHISK YOUR HEART OUT! Who’d thought I was worried about this chicken? It came out beautiful and moist. However, here’s the deal. RECIPE SUGGESTION 4: EITHER MARINADE IN THE SAUCE THE NIGHT BEFORE OR COOK IN THE SAUCE. Not that the chicken was bad without the sauce; I’m just a big proponent of marinading. It would soak up that flavor even more. If you decide to cook it in the sauce, I would double that sauce recipe. One portion for the chicken, the other portion to thicken up and either keep or pour over white rice. Look at it. Thank God that sauce was good, since that cauliflower fried rice was so icky (see my post from yesterday to learn more). PRO 2: THIS RECIPE IS VERY SIMPLE AND LOW MAINTENANCE. MINUS THE INTENSE WHISKING. I had a very good amount leftover for me to eat later as well. I had leftovers with white rice, and it was still just as good later. Suggestion 1: If you hate waste like this foodie does, use those onions in some kind of way, preferably with the cooking chicken. Suggestion 2: Marinade the chicken. Or if you don’t have time for that, cook it in the sauce. Double suggestion, double the sauce if you decide to do this. Will I go back for seconds? : Yes! Place the chicken in a leak-proof container and pour half of the sauce in with it. Refrigerate and marinade overnight. Place remaining sauce in the refrigerator overnight for marination. 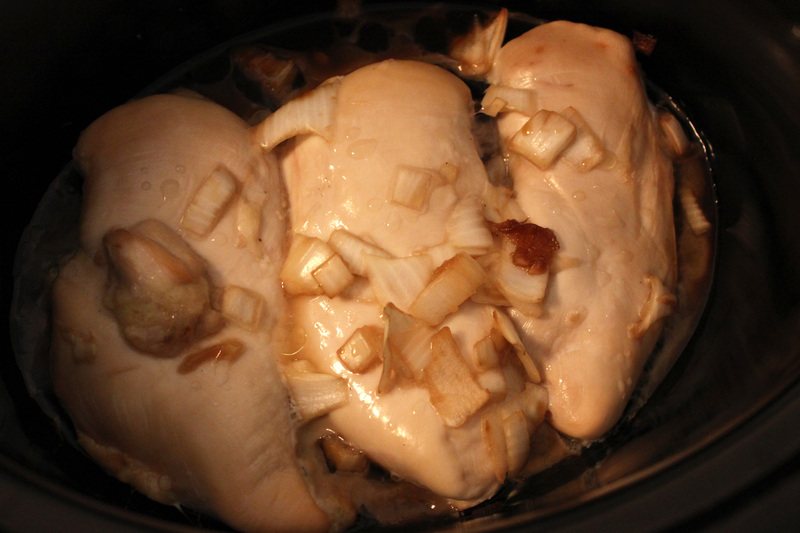 After marination, cook chicken with sauce in a slow cooker on low for about 4-5 hours. 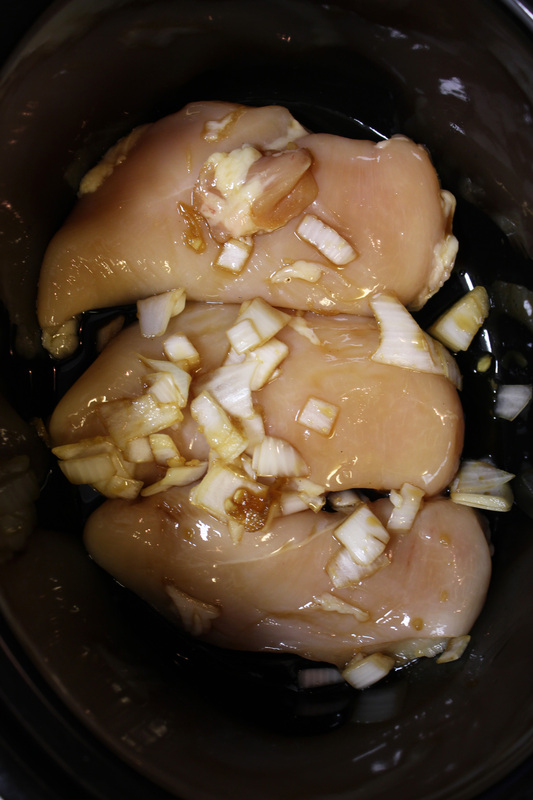 Strain onion and garlic from the second portion of sauce and pour into slow cooker last 30 minutes of cooking. Transfer the second sauce portion into a medium sauce pan and heat on the stove to medium heat. 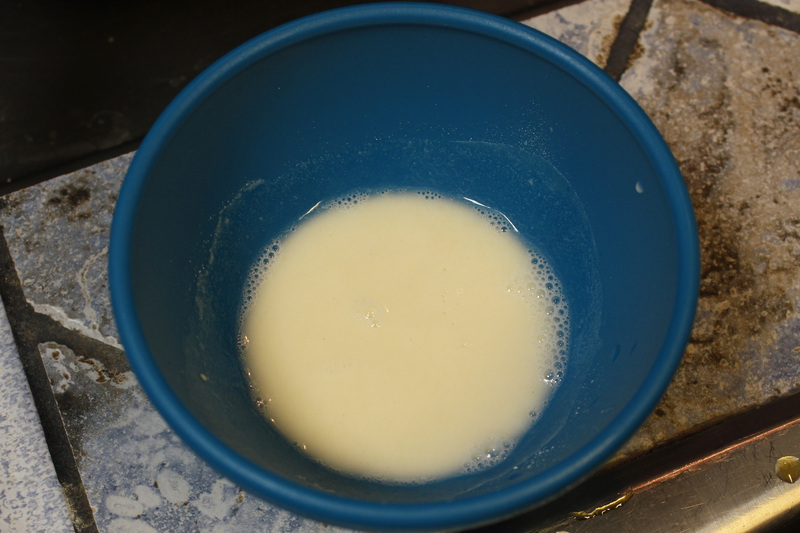 Whisk together the cornstarch (or flour) and cold water in a separate bowl. Once the sauce on the burner starts to boil, slowly pour the cornstarch/flour mixture in, stirring constantly. This was actually very good and blew Chinese takeout out of the water for sure. Did you get enough to eat?